Want to check your writing? 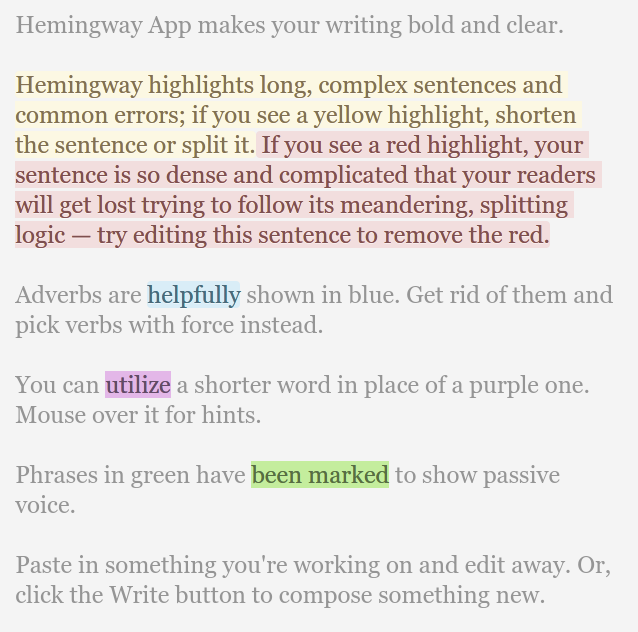 Try the Hemingway App. All you have to do is copy your writing and paste it in place of the text you see in the image below and it will help with all of the things listed.